White starter cord is compatible with combustion engine starter mechanisms. 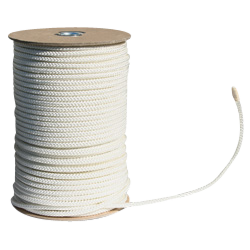 Offering excellent abrasion resistance and durability, the cord is designed to withstand repetitive strain and other issues commonly associated with pull starter machines. 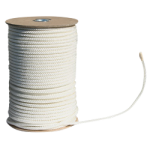 The cord is also optimized to resist gasoline, oil and common chemicals.